Tesla is recalling select 2012-2016 Tesla Model S vehicles equipped with Bosch steering racks. There may be an issue with the power steering, which increases the risk of crash or injury. 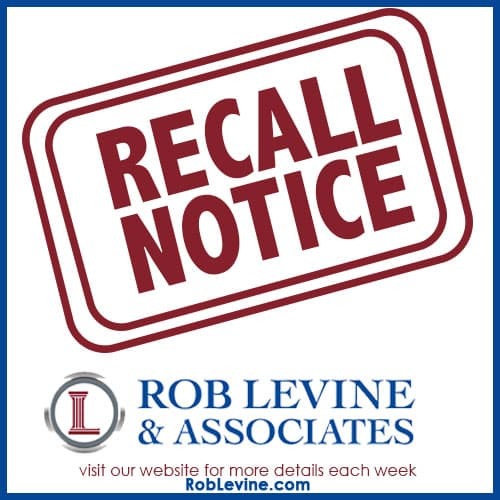 Graco is recalling select Graco My Ride 65 convertible child restraints. There may be a problem with the restraints increasing risk of injury during a crash. Toyota is recalling select 2018 Toyota Camry vehicles equipped with the 2.5L, four-cylinder engine. There may be a chance that the engine can stall due to incorrectly sized pistons. Polaris is recalling all 2015-2018 Polaris Slingshot motorcycles. The seat belt in the driver-seat and passenger-seat were welded improperly. Britax is recalling select B-Safe 35 systems and BOB B-Safe rear-facing infant child seats. The center tab on chest clip may break causing a choking hazard and risk of injury.